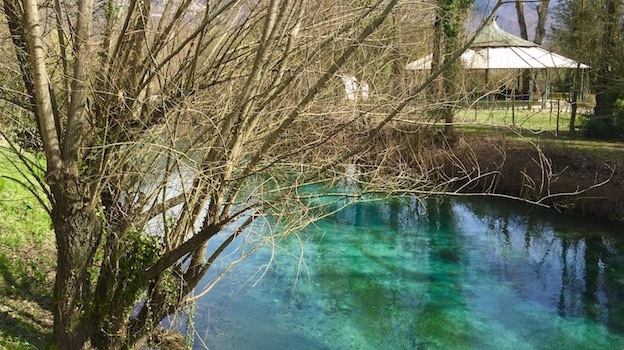 It is not a stretch to say or write that La Trota, about a 45 minute car drive north-east of Rome, may well be the world’s best fresh water fish restaurant. It all started fifty years ago when Emilio and Rolanda Serva began running a small country restaurant that fast became a favorite of locals who loved good food. 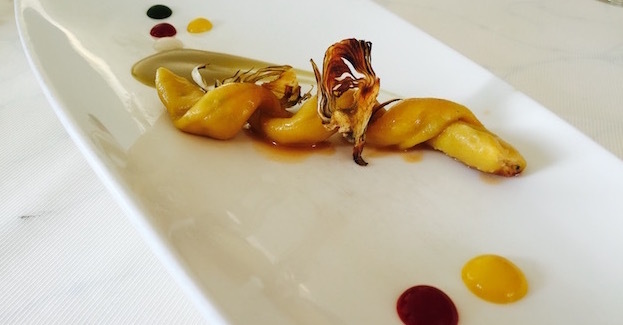 Years later, their two sons, Maurizio and Sandro Serva, respectively mâitre and chef of the now two Michelin star establishment, have catapulted La Trota into the stratosphere of among the best restaurants of Italy and the world. La Trota can now reasonably aim for a third star. The restaurant is aptly named: trota in Italian means trout. Here you will taste nothing else but freshwater fish, such as trout, carp, walleye (pickerel), pike, fresh water shrimp, eel, tench and more; in other words, nary a sea bass, turbot, cod, tuna, John Dory or snapper in sight. The fish is very fresh and perfectly cooked. The choices are bewildering given the paucity of fresh water fish one usually comes across in most restaurants. 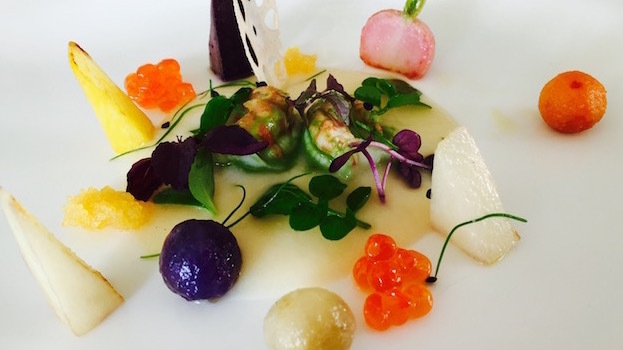 Even in Italy, unless you’re vacationing in some mountain retreat, you rarely get to go beyond eel or farm raised trout and salmon. It’s another ball game altogether at La Trota, where there’s a veritable Noah’s ark of freshwater fish awaiting. 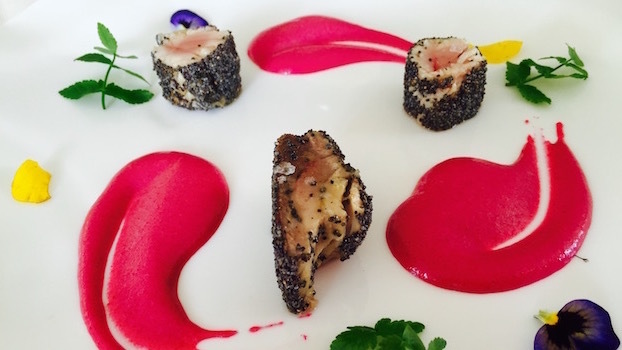 Carp isn’t the noblest of fish, but numerous great chefs swear by a baked poppy seed crust rendition, and the version at La Trota is a testament to why this belief is not unreasonable. By contrast, tench is a wonderfully flavorful, if delicate, fish that cannot tolerate polluted waters, and so its presence in quiet lakes is always a sign of very clean water. Pickerel, also known as walleye, is very well known to North American fishermen, if nothing else for its high quality white meat. In Italy the name used is luccio perca (the latter being the equivalent of pike perch in the English language) or Sandra. In Italy and Europe, the pickerel species is slightly different than that found swimming in North American waters where its correct name is zander (hence sandra, in Italian). A zander looks remarkably similar to a long perch, sporting the very obvious typical tiger stripes of the latter fish (not so in the North American pickerel, which has a more uniform yellow-green coloration), but for the most part pickerel and zander are very similar, wonderful taste included. All the preparations at La Trota are characterized by an airy touch and a very refined, delicate mix of aromas and flavors, and so its hard to pick a favorite dish on this evening. The tench soup is wonderfully delicate and the exceptionally good brown trout with foie gras brought back memories of some Michael Mina creations I had many years ago. Certainly, I’d be more than happy to eat every single dish I had on this particular night time and again: high praise indeed. The wine list at La Trota is very well thought out and deep in choices; there are numerous great bottles to choose from and a smattering of older vintages only makes things more interesting and enjoyable for wine lovers. Miani is my favorite producer of white wines in Italy,and his Ribolla Gialla is a wine I simply adore. The 2012 Friuli Colli Orientali Miani Ribolla Gialla Pettarin is probably not owner Enzo Pontoni’s best ever vintage of this wine, but 2012’s drought and heat combine to make life difficult for both the vines and the winery owners. In fact, the yellow and stone fruit aromas and flavors this wine usually exudes in spades are delicious, but are a little more subdued than usual due to the hot year. Still, this 2012 is a gorgeous wine that puts all other Ribolla Giallas to shame. Luscious, suave, complex, and deep, it’s still slightly dominated by an oaky-vanillin sheen that will hopefully be absorbed in the years to come. 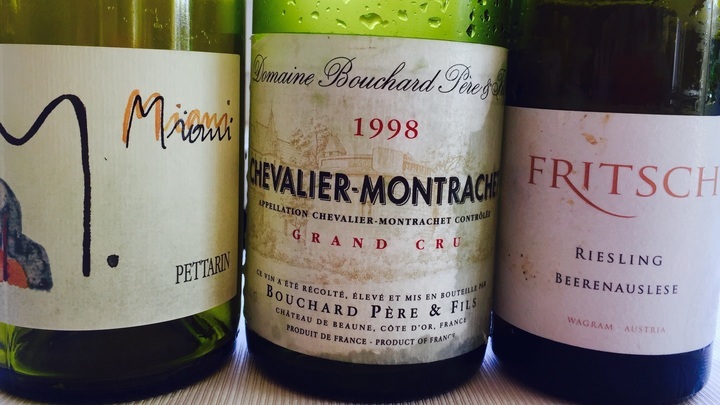 Things got even better with the next wine up, the magnificent 1998 Bouchard Père & Fils Chevalier Montrachet, everything you’d think a great white Burgundy ought to be. Hazelnut, bread crust, lime, banana and candied pineapple all vie for attention on the palate, which is balanced and flavorful. Last but not least, the 2011 Weinberghof Fritsch Wagram Riesling Beerenauslese proved another winner. Little known as far as quality Austrian wine estates go, Karl Fritsch was perhaps the only reason wine lovers needed to visit Wagram back in the 90s. Today, his son Karl Jr. has further improved the winery’s portfolio, and turned the domaine over to the principles of biodynamic farming. The 2011 Riesling Beerenauslese, though not a monster of concentration, shows exceptional sugar-acid balance and proves an easygoing, luscious highly enjoyable quaff. 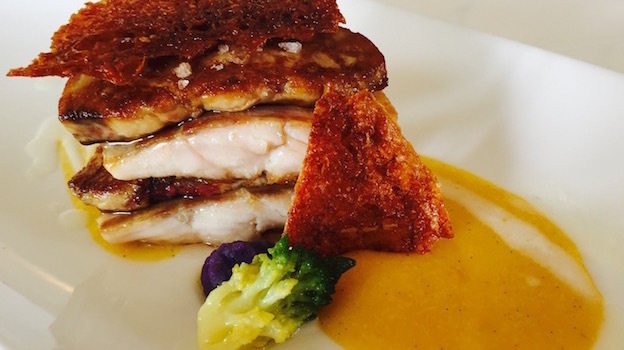 Should you vacation in Italy anytime soon and be around Rome, give La Trota a try. You will no doubt come away thinking the meal was more than worth the journey, as freshwater fish creations such as these are hard to come by. 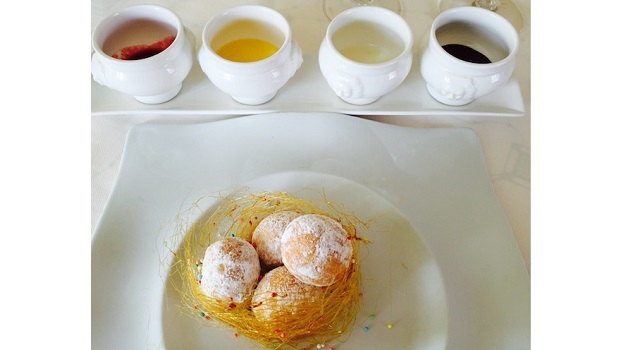 I am willing to wager you’ll come away thinking it was one of the best meals of the year.